Championship disc golf laid out on the back nine of the ball golf course. Some ball golf holes have two or three disc golf holes, intertwining disc and ball golf. Everyone welcome. Rental discs if needed. Rental carts if you wish. $5/walk and $10/cart. Ball golfers have the right of way but they can usually slide disc golfers in. Call for more details. Open year round (not all days in the winter). From Lansing: US-127N to I-69 E. Continue for 8.7 miles to exit 98 for Woodbury Rd. Turn left onto Woodbury Rd. and continue for 1.5 miles to a right on W Bath Rd. and then a left back onto Woodbury Rd. in 0.2 miles. Course is on the right in 5.2 miles. Absolutely great! The traditional ball golf scenario with the great game of disc golf. I've had the pleasure of playing this course twice, both on foot. Every on site person I spoke with was professional and well informed about the game and general course rules of disc golf. The ball golfers were more interested in watching our drives rather than exercising their right-of-way set by the course. I would recommend this course to anyone I know that plays. 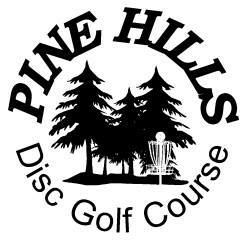 At $5 to walk or $10 with a cart, this course is offers both challenge and variety for the disc golfer, along with wide open spaces to really bomb down the fairway with your longest of drives.